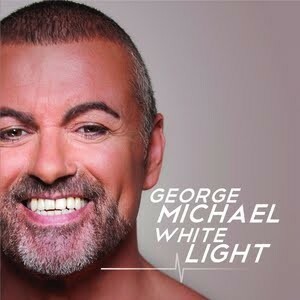 • George Michael’s new single ‘White Light’ was officially serviced to Australian media late yesterday. The track will hit to commemorate George’s 30th anniversary in the music industry and 30 years to the day since he and bandmate Andrew Ridgeley released ‘Wham Rap’. ‘White Light’ will be released digitally in Australia on Monday. • X Factor star Reece Mastin has knocked Flo Rida from the No.1 position on the Australian iTunes store with his latest single ‘Shout It Out’. The track follows on from his No.1 smash ‘Good Night’ and its No.2 follow-up ‘Shut Up And Kiss Me’ and was co-written by the DNA boys. • In the countdown to the release of his new solo record ‘Broken Brights’, Aussie singer Angus Stone has revealed the official video for the latest single ‘Wooden Chair’. It provides a glimpse into the singer’s world in the “faraway hills of wild and remote” Australia, but comes with fireworks, bonfires and burnouts. Check it out HERE. • Following on from the revelation of the cover image for their forthcoming album ‘¡Uno!’, the boys from Green Day have revealed the covers for the other albums in the trilogy… ‘¡Dos!’ and ‘¡Tré!’ (pictured left). 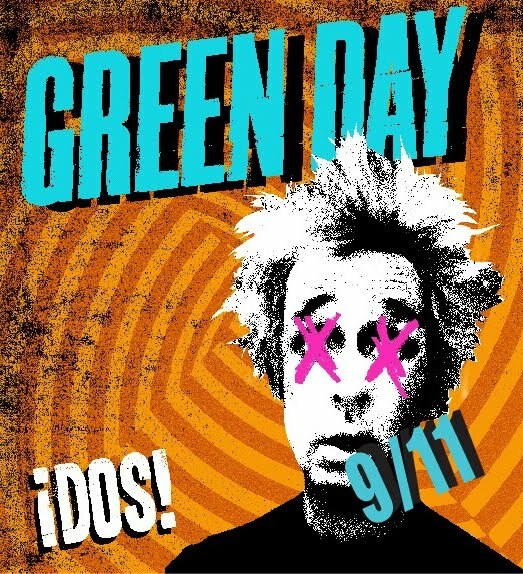 Their label Warner Music has also given fans a hint of when to expect the other two LPs to drop at Australian retail, confirming via the images that ‘¡Dos!’ will drop on Friday November 09 and ‘¡Tré!’ will arrive early next year – on January 11. • Grammy winning songstress Emmylou Harris has announced an Australian tour in November. The ‘Hard Bargain’ tour will touch down at the Perth Concert Hall on November 18 before visiting Adelaide, Melbourne, Canberra, Sydney and the Gold Coast. Tickets to the Canberra date are on sale on Monday, with the remaining dates on sale this Friday. • Aussie songstress Mia Dyson is also headed out on the road. She’s performing around the country in support of her first single in four long years entitled ‘When The Moment Comes’, which is due for a digital release this Friday. Tickets for all dates are on sale on Monday. • Cheeky British singer Cosmo Jarvis has announced an Australian promotional tour. He arrives in Sydney on July 23 for two full weeks of promotional activities in support of his new album ‘Think Bigger’, which is released to Australian retail this Friday. 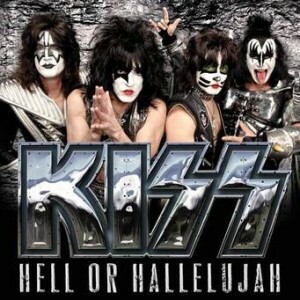 • Legendary rockers Kiss have announced a new single and album. The single is entitled ‘Hell Or Hallelujah’ and according to their European label at least, it’s due to drop this week (though no word from Universal locally). 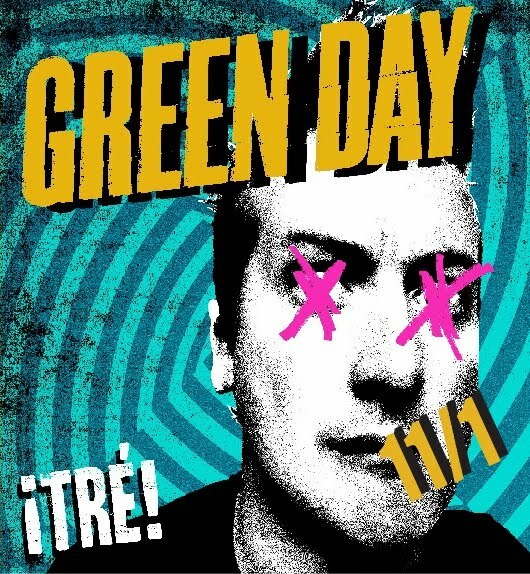 It’s the lead track from a new album called ‘Monster’, which is slated for a release in October. • Victorian Marty Smiley has earlier today taken out Channel [V]’s Presenter Search for 2012. The fresh-faced, big-haired 21 year old took out the prized position over fellow Victorian Bridget Hustwaite. He’ll join Billy Russell, Danny Clayton and Carissa Walford as the faces of the music channel. • Carly Rae Jepsen has extended her run at No.1 on the US Billboard 100 charts this week with her global smash ‘Call Me Maybe’. Maroon 5’s ‘Payphone’ has now finally overtaken Gotye and this week settles in the No.2 position. Ellie Goulding’s doing rather well too – her single ‘Lights’ rushing into the top ten at No.6, while Usher’s ‘Scream’ also settles into the top ten. Aussie songstress/DJ Havana Brown breaks into the US top 40 with her single ‘We Run The Night’. It’s now at No.38. • There was really no chance that Justin Bieber’s ‘Believe’ wasn’t going to debut atop the Billboard albums chart really… Sources within the chart company were predicting sales of in excess of 410,000 copies in the first week alone, easily accounting for the debuts in positions two, three and four from Kenny Chesney, Fiona Apple and The Smashing Pumpkins respectively. Usher’s ‘Looking 4 Myself’, which was at No.1 last week, slides to No.6. • If you really love your charts, then you’ll more than likely love our Chart Watch. Find out what’s debuted where on the ARIA top 100s hours before they’re officially revealed on the ARIA site. It’s live Sundays from 9am. We’ve heard nothing from Universal Music yet about the new Killers material… No doubt if the release date is July 10, we’ll be hearing something over the coming days. Any news on the Australian release date for the new single from The Killers, “Runaways”? Or even when it might go to radio? US release date seems to be 10th July?